Headphone jacks are pretty big components and they don't play nice with all-screen Phone architectures. We studied it very seriously, but fitting a headphone jack into our Phone required tradeoffs we were uncomfortable with. We'd have grow a huge "chin" in the display and reduce the battery capacity by 10%, or we'd need a huge headphone bump! We decided it was more important to have a beautiful full-screen display in a thin device with solid battery life. Then we made sure we to build ya'll a high-quality DAC in a tiny adapter that can elegantly live on your headphones. These are valid points, and even if you don't agree with Essential's final decision, at least there's some explanation behind it. We're happy we were able to address some of your issues! You'll see performance bug fixes continuing to roll out in our subsequent release. The top performance issue we are pursuing is that UI freeze up that turns out is lock contention in the System UI thread! Now that we're hot on it's trail we should have a fix soon. Hopefully, this is completely resolved soon. Touchscreen issues are no fun; just ask those OnePlus 5 owners with upside-down screens. We are under development on a number of Click Connector accessories. The first available should be the charging dock. We are also actively developing a high end audio accessory to support a 3.5mm jack. We are continuing to look at supporting ideas, like cameras. Yeah, our head of architecture is in Asia right now getting our high-end audio accessory super dialed. He graciously called me at 3AM today so we could talk about some specifics for our design... We are working literally around the clock around the globe to get your awesome new things ready. It's nice to see these guys hard at work. It's also pretty funny how the 3.5mm jack is making a return in the form of another product that you have to buy separately. We are excited about supporting 3rd party developers. We'll be releasing our kernel and factory images in the next few days. Android O will be coming in the next month or two. Not bad, Essential. But could we really expect any less from the founder of Android? Hi! We are pretty happy with the hardware design of the camera. We are using computational photography to fuse a monochrome and color sensors. That's the part we're not too happy about, but luckily it's software and we've already done a number of updates to the app to fix bug and add features. Let's hope for some further improvements; the Essential Phone's camera still isn't great. Hey! Message us directly and we'll whitelist you today! That turned out to be pretty easy. 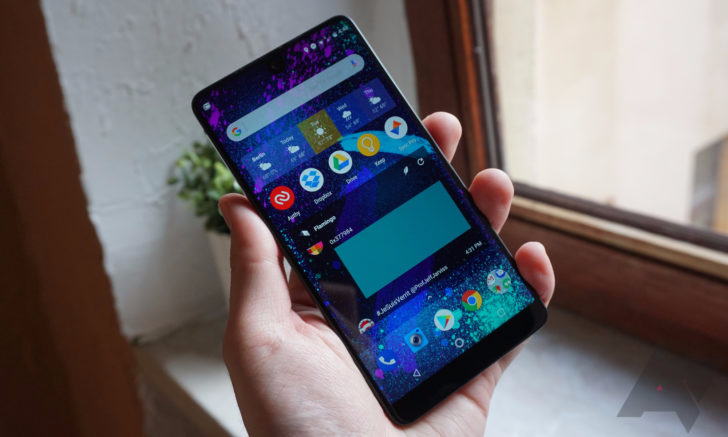 Great news for Essential Phone owners who use Nova. We have been in the certification process with Verizon and are at the tail end. Could come as soon as tomorrow! These certifications really help enhance our overall quality, so your patience will pay off! That's exciting, to say the least, and it'll open up the Essential Phone to a lot more buyers. White is coming! Pure White ceramic is in build trials now. We're looking at a few weeks until they're in boxes and shipping, especially as we fill the manufacturing backlog on Moon Black. It's coming soon, folks. The Moon Black model is pretty handsome, and the Pure White is too. The in-screen front facing camera was a new feature for Android. To ensure Android compatibility, Google asked us to letterbox applications out of the cutout area by default. If you are a developer who wants to use the full screen, shoot us an email and we'll add your app to our whiteilst [sic]. The whitelist can be updated via the Play Store, so you won't have to wait for a full software update. Nova Launcher seemed to get added fairly quickly due to its visibility in the AMA; it'd be great if it were that easy for other developers as well. We are planning on having the dock out shortly. Our final prototype build is this month and we will have it available for purchase after we run through reliability testing. It looks like owners should have the dock pretty soon, if things go to plan. This doesn't make the battery situation any better, but at least we have a nice explanation behind it. The chin on our display is driven by two components: the touch IC drivers and the LEDs for the LCD backlight. We would love to ship a truly borderless display and are working on next-gen products that get us every closer to a seamless device flooded with pixels. Pretty soon, we'll have nowhere to hold onto our phones without bezels, but all we want is that 100% screen-to-body ratio. Yes, but some of our HALs will be passthrough when we release O. We are committed to doing better and better over time, but we also want to get O to you as soon as possible. If you're unsure of what a HAL is, it stands for "hardware abstraction layer," and it's "a standard method for creating software hooks between the Android platform stack and your hardware." Passthrough HALs are HAL interface definition language (HIDL)-wrapped or conventional HALs, and they're being used for devices upgrading to 8.0 Oreo. Binderized HALs, on the other hand, are more sophisticated versions that are expressed in HIDL, and they're mandatory for devices launching with 8.0+. Binderized HALs are ideal, but Essential will still be using some passthrough HALs in order to get the update as quickly as possible. You can read more about this here. Essential's team did a pretty great job answering all pertinent questions in this AMA, and we applaud them for that. If you'd like to read all the questions and answers, hit the source link below.